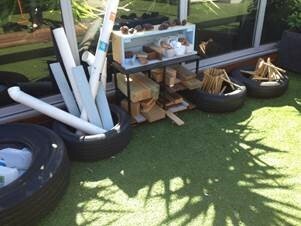 We are collecting materials for loose parts play in our playground. Loose parts are materials that can be moved, carried, combined, redesigned, lined up, and taken apart and put back together in multiple ways. The children play with these materials and it allows children to be creative, cooperative and have lots of different experiences. 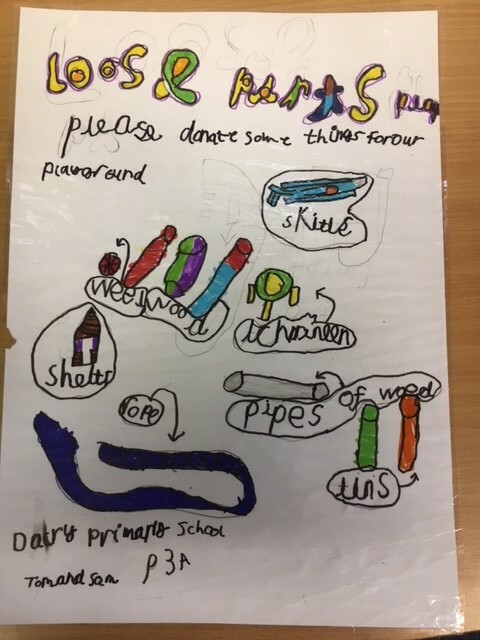 Bottle tops (in a plastic bag), ropes, empty clean tubs and tins, wheels, pieces of pipe, ball pit balls, pots and pans, planks of wood, stumps of wood. Please donate any of these things if you have them at home and no longer use them. There will be 2 clean green wheelie bins outside the main entrance and any donations can be put in these bins. 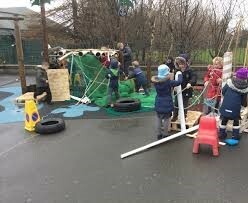 Loose parts is about using materials that are available to us. We are also planning to ask local businesses. This entry was posted in News, Parent Information: News, Primary 1A 2017-18, Primary 1B, Primary 2A, Primary 2B, Primary 3A, Primary 3B, Primary 4, Primary 5, Primary 5/4, Primary 6, Primary 7a 2017-18, Primary 7b on Oct 26, 2017 by Dalry Primary Edinburgh.